Today we'll explore the unique qualities that have made My Hero Academia's sports festival so satisfying! Hey everybody, and welcome back to Why It Works. 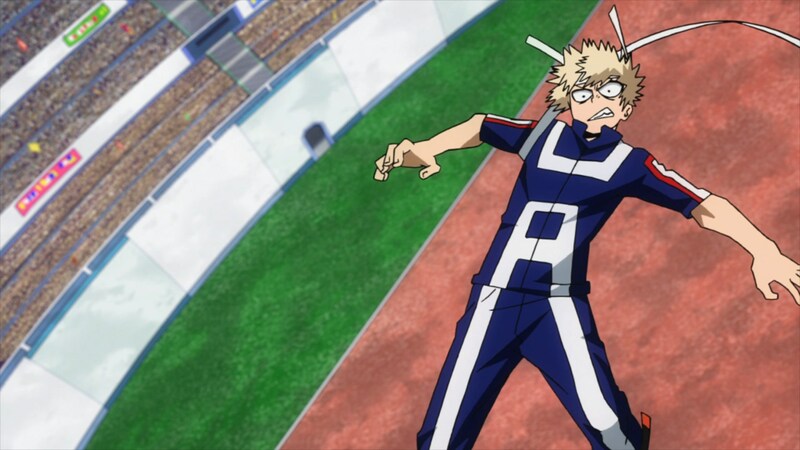 I’ve been enjoying the heck out of My Hero Academia’s athletic festival, essentially treating it like an actual sports event that me and my housemates tune into every weekend. 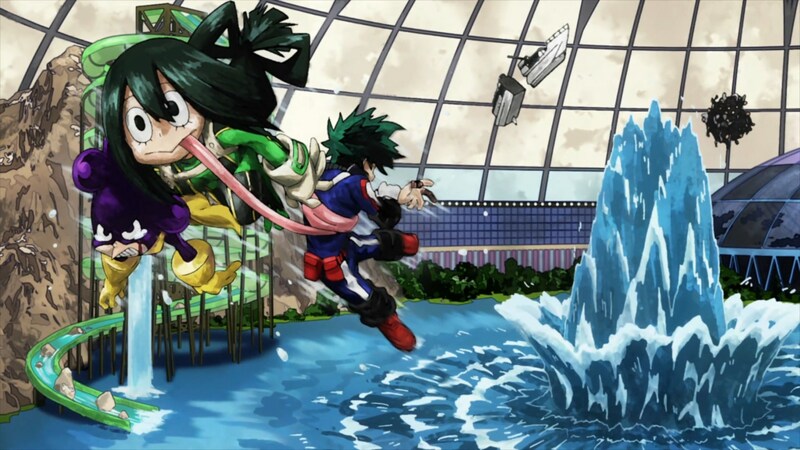 The show’s second season naturally lends itself to audience commentary - the dramatic plays and sudden reversals of Class 1-A and their rivals really do feel like a major sporting event, encouraging the audience to pick favorites and theorize on what might happen next. That’s not just a happy accident of the genre, though. 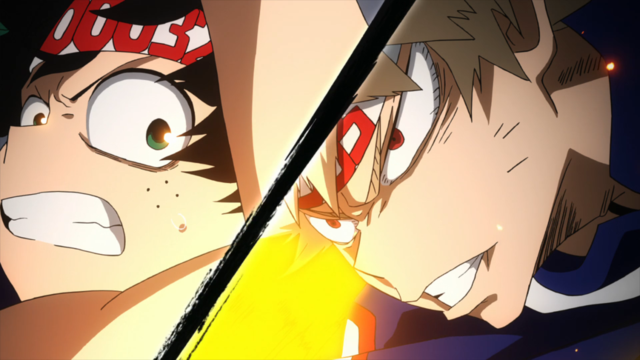 The genius of My Hero Academia’s festival arc is that its worldbuilding and action sequences feel grounded and smartly constructed enough to be not just exciting, but tactically satisfying - and this is Why It Works, so today we’ll be diving into just how the recent cavalry battle put this story’s best foot forward. At its base, My Hero Academia is a very understandable quantity. It is to American superheroes what One Piece is to pirates, Naruto is to ninjas, and Bleach is to soul reapers - a classic shounen-styled universe built around a single conceit, where all of the story’s assumptions facilitate naturally or not-so-naturally from its central concept. “What would a shounen story be like in Superhero World” is its fundamental question and fundamental promise. Of course, all these series I mentioned aren’t just palette-swapped versions of the same manga. 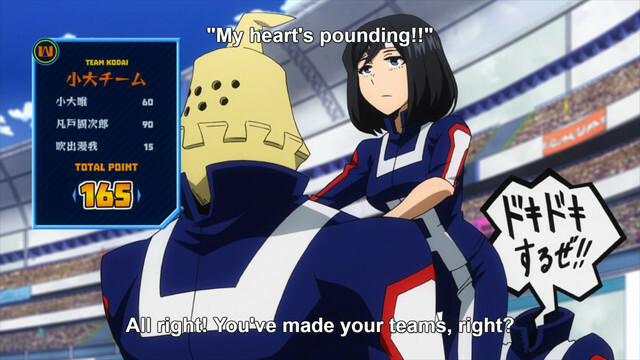 And one of the things that makes My Hero Academia so unique, and this sports festival so effective, is that in its universe, powers aren’t strictly dedicated to helping people win battles. 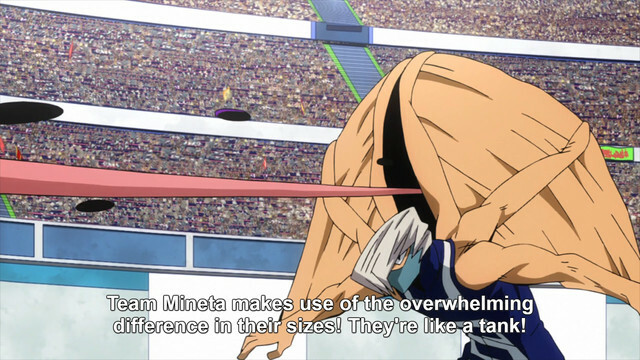 Not all Quirks are as straightforward effective as Bakugo’s explosions, or Midoriya’s power-consolidating One For All. Sometimes Quirks are just, well, quirky. In terms of storytelling, My Hero Academia’s bizarre array of powers means it can set up very diverse styles of “conflict” that don’t lend themselves to might-makes-right resolution. The show’s ensemble setup means certain characters are even allowed to be utterly useless in certain situations, because other characters can take the focus at those points. And then when it comes time for something like the sports festival’s cavalry battle, this broad approach to action drama absolutely shines. My Hero Academia goes to some length to underline how the cavalry battle isn’t really about demonstrating individual strength - it’s about emphasizing the kinds of professional conflicts heroes will have to grapple with outside of battle, like working with diverse teammates and managing arguments between allies. This makes perfect thematic sense, as My Hero Academia is clearly interested in examining the ambiguity of heroism as a professional industry, but the cavalry battle also allows the show’s characters to stretch their tactical muscles. 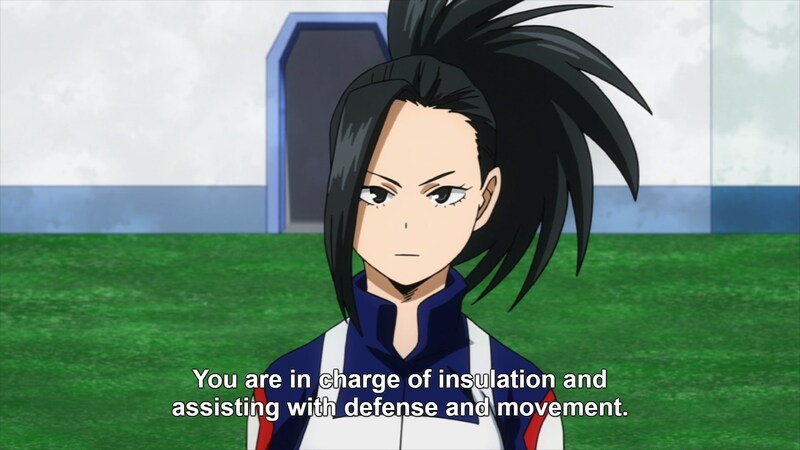 Feeling engaged in an action show’s tactical decisions is a wonderful thing, and it’s only possible because My Hero Academia embraces a dramatic virtue I’ll always be fighting for: grounded conflict. Grounded conflict (don’t look it up, I haven’t gotten it placed in Webster yet) essentially just means “conflict which has stakes and conditions the audience can understand, and thus follow as a coherent narrative.” In My Hero Academia’s case, the show establishes very clear powers for each of its heroes, demonstrates the strengths and weaknesses of those powers, and then doesn’t break the rules it’s set for itself. 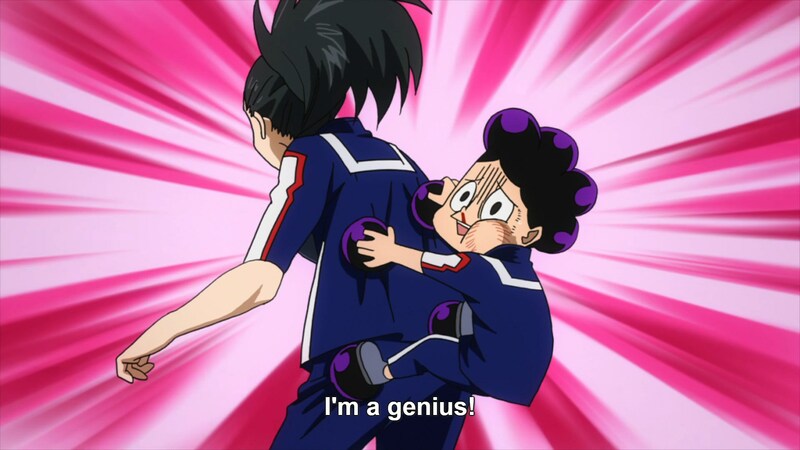 Characters in My Hero Academia generally don’t win by charging up or believing in themselves more, they win by devising tactically sound strategies and executing on them well. By sticking to the principles of grounded conflict, My Hero Academia allows its audience to feel that much more invested in its dramatic setpieces, because they feel clever, impactful, and earned. 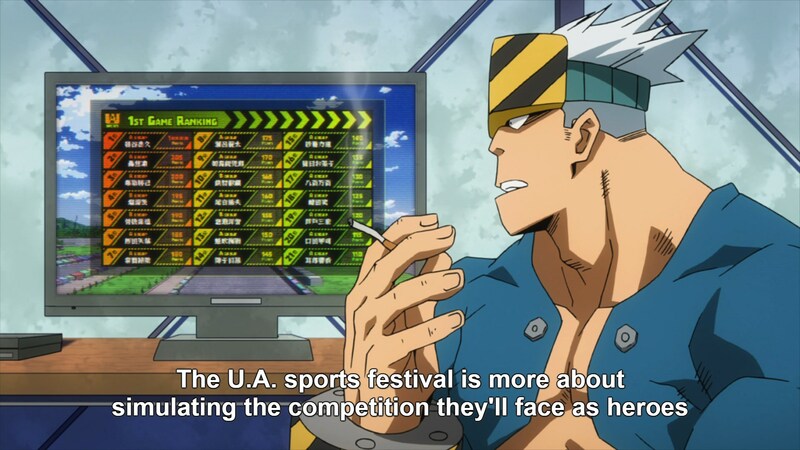 The sports festival’s cavalry battle is a perfect synthesis of My Hero Academia’s bizarre array of Quirks and its steady dedication to consistent, tactically focused conflict. A single character in My Hero Academia will have major strengths and major weaknesses - those who don’t, like Bakugo and Todoroki, are serious outliers. But by forcing its characters to team up and adopt different strategic priorities, the cavalry battle lets each of these strange powers shine, while simultaneously offering very unique dramatic clashes. 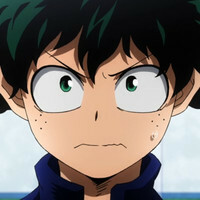 As an overanalyzing hero fanboy who was never able to rely on a power of his own, Midoriya is the ideal protagonist for this sort of tactically focused narrative. It’s unsurprising, then, that the team he builds reflects a clear strategic goal: use mobility and heavy defense to protect his original ten million points. 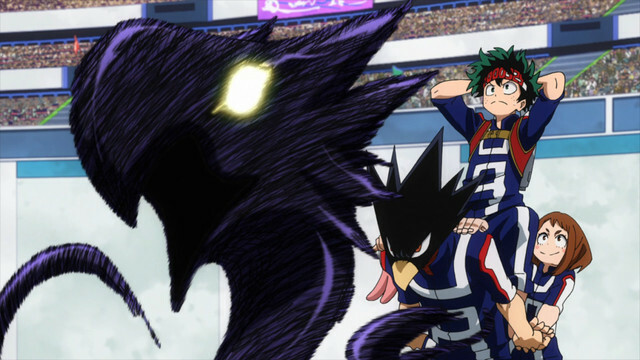 Mei and Uraraka focus pretty much exclusively on mobility, while Tokoyami offers a strong defensive power. Midoriya is frankly the odd one out in his group, offering pretty much nothing to facilitate their strategic goals - but hey, you work with what you’ve got. Other cavalry groups are equally dedicated to their own specific goals. 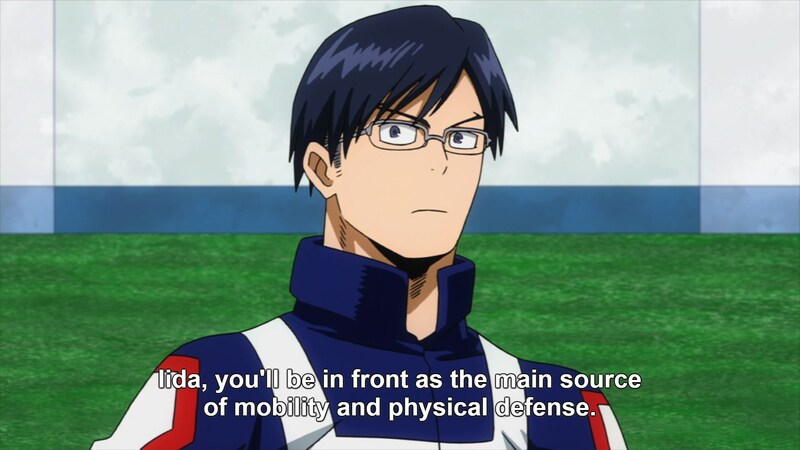 Todoroki’s group is essentially a battling juggernaut, combining the class’s best gap-closer (Iida), two of its most effective combat quirks (Kaminari and Todoroki himself), and a terrific all-arounder to fill in defensive weaknesses (Yaoyorozu). 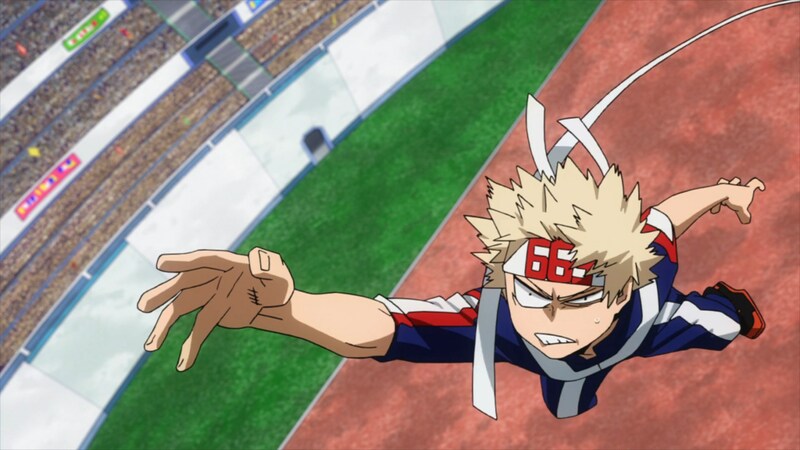 Bakugo’s group is a testament to his own ego - Sero seems chosen purely to let Bakugo go off on random flying attacks, while Kirishima is picked simply because he can survive Bakugo’s explosions. 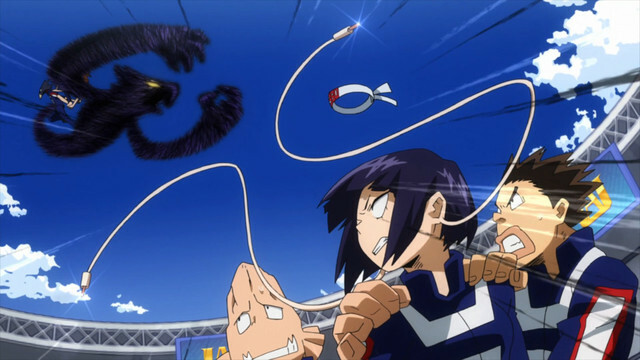 And Mineta develops a wholly unique strategy based on Shoji’s distinctive quirk, one that’s equally bolstered by Tsuyu’s long-range attacks. By combining its commitment to truly weird quirks with a focus on grounded and consistently parsable conflict, My Hero Academia allows the audience to feel that much closer to the action. Watching the cavalry battle play out feels like watching a match between professional teams you’re intimately familiar with. The show makes sure all of its dramatic tricks are on the table, and then constructs combinations of those tricks that feel exciting not just because they’re unexpected, but because they’re legitimately ingenious. 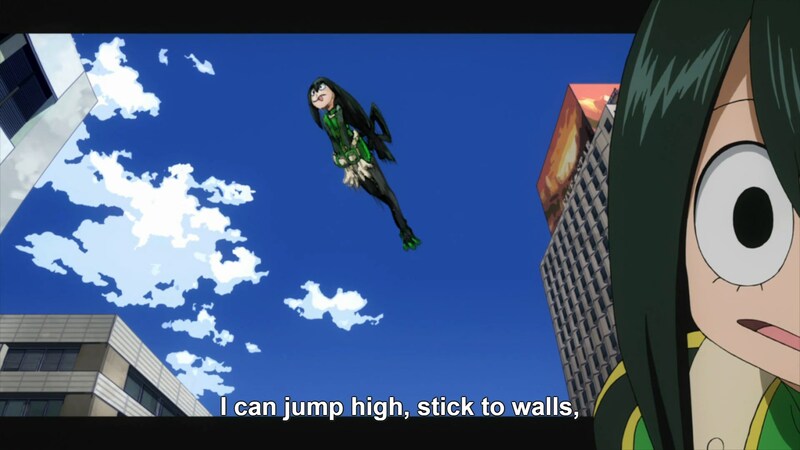 My Hero Academia’s commitment to both consistent weirdness and tactical cleverness makes it a consistent joy to watch, and I hope to keep cheering these heroes on for a very long time.